Although pockets of poverty persist across this large island nation, Indonesia, with a population of over 237 million, has achieved middle income status thanks to sound development policies. UNFPA supports the Government in achieving its global commitments to improve maternal health and achieve universal access to reproductive health, as well as national priorities related to population dynamics, sexual reproductive health and rights, family planning and gender equality, and the rights of adolescents and youth. DONGGALA, Indonesia – “I am so scared. 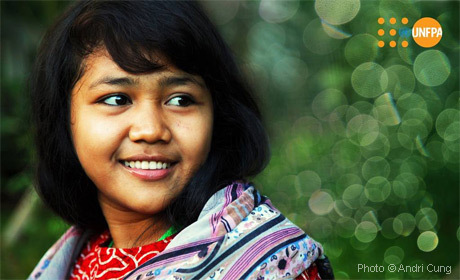 I can’t even describe it,” Ibu Fariati, 27, told UNFPA.